Educational publishing is a business, much like any other, and the marketing materials for instructional programs that are designed for use by schools are filled with descriptive language that emphasizes the effectiveness of such programs. It can be difficult for schools, individual teachers, and parents to determine whether a program or approach is truly effective in helping children with specific learning needs. Understanding how a particular instructional approach works and whether it is effective is of crucial importance, particularly since the IDEA mandates that children receive instruction that is evidence-based. Fortunately, the "What Works" Clearinghouse, operated by the Institute of Education Sciences at the U.S. Department of Education provides educators, policymakers, researchers, and the public with information about "what works" in education. Since it began in 2002, it has had the goal of providing accurate, evidence-based information about instructional programs that are in use in our schools. It neither recommends programs nor offers lists of programs for particular educational needs. What it does do is assess the available research and provide a sense of whether a program is truly effective for the population and learning issue it targets. 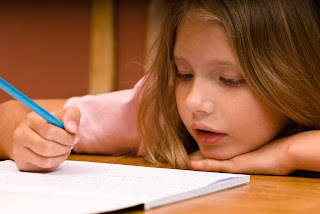 When children who struggle with academics are provided with educational supports by their schools -- whether as part of a generalized support available for all students or through more extensive services provided under an IEP under the Individuals with Disabilities Education Act -- parents are often advised that their child will be receiving instruction using a particular program or approach. By checking the Clearinghouse, they can see the research that supports the program their child will be using, find out where it has been shown to be effective, and note those areas where its effectiveness has not been demonstrated.